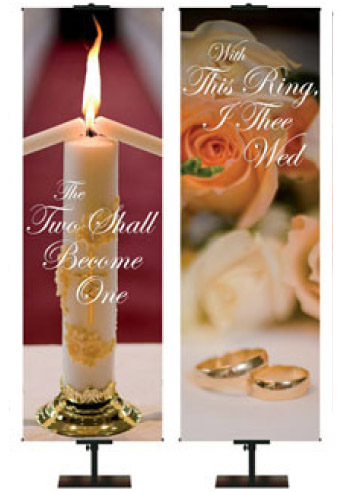 Our wedding banners come as stock or custom banners. These original designs are made on quality fabric. 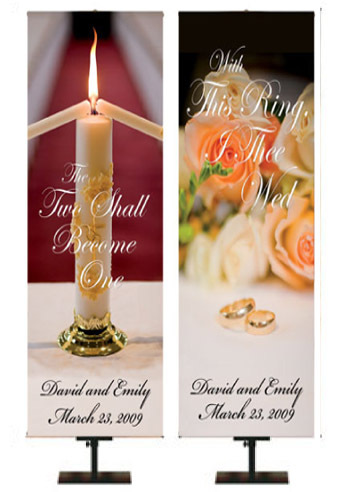 If you don't find that perfect wedding banner that you are looking for, let us know. We are happy to customize a design of your choosing!